Filled with tasty beans, lentils and pulses, the Macsween Vegetarian Catering Pack is essential to a well-organised Burns Supper or Scottish Food event. 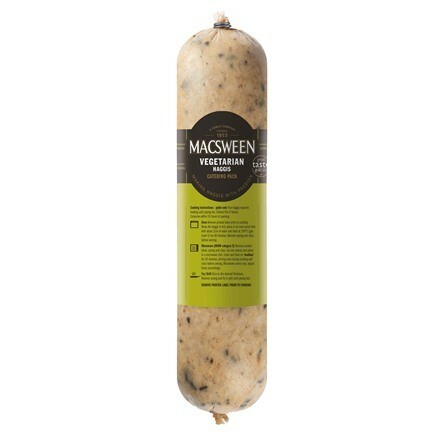 If you are planning a large Burns Night Supper, you might also be interested in the traditional Macsween Haggis catering pack. This catering pack will serve 6-7 people as a main course. Oats, Lentils, Rapeseed Oil, Kidney Beans, Onions, Carrot, Swede, Mushrooms, Sunflower Seeds, Pumpkin Seeds, Salt, Spices, Pepper.